Paris (November 13, 2018) – Ymagis Group, the European specialist in digital technologies for the film industry, today presents its new virtual reality activities. Since Ymagis Group was founded, it has pursued an innovation policy placing it at the heart of the digital transformation of the entertainment industry. Today, this industry is experiencing a new revolution with the irruption of virtual reality technologies (VR). Halfway between cinema and video games, virtual reality is already a global phenomenon benefiting from an advanced technological environment. In view of this, Ymagis has developed VR leisure centre concepts in which the general public will have the opportunity to discover premium VR content. To deploy these centres, the Group has opted to standardise game spaces and apply a network approach. This strategy will offer greater exposure to the content producers with whom Ymagis wishes to establish long-term partnerships. Ymagis aims to progressively build a catalogue with a wide range of VR content available in each of its centres, making them increasingly attractive to the public. After an in-depth study of the existing virtual reality offers, the Group is targeting two market segments: i/ VR arcades designed for cinema exhibitors and ii/ Illucity adventure parks, proper stand-alone VR centres which can be coupled with cinemas or other locations with sufficient floorspace. It will be possible to install VR arcades covering 30 to 100 m2 in lobbies or other spaces available in cinemas to be directly managed by the exhibitors themselves who will thus be able to optimise their human resources. The arcades will enable exhibitors to diversify their revenue sources, increase traffic and contribute to winning back the “millennials” target group. The business model for this activity is based on the sale or hire of equipment by CinemaNext to exhibitors and the supply by Ymagis of top quality VR content from its producer partners using a revenue-sharing model. This model is financially reassuring and cost-effective for exhibitors while guaranteeing Ymagis and content producers an attractive level of profitability. In parallel to this offer, the Group is launching Illucity, the first adventure park network offering a highly diverse range of top-quality VR experiences brought together under one roof in venues covering 300 to 2,000 m2 with four different types of content: free-roaming, escape games, simulators and arcade games, and lastly cinema content. The Illucity centres will be developed in partnership or under franchise with cinema exhibitors who are partners of the Group in priority, or in some specific cases, they will be run directly by the Group. Most of the income from the centres will be generated by ticket sales, the prices of which will range from €5 to €35 depending on the VR experience, as well as by related sales. For a surface area covering an average of 1,000 m², the projected annual revenue is €2M. With a return on investment expected in less than two years for an investment of €1.5M per 1,000 m² venue, the first Illucity sites will be initially financed on a site-by-site basis by bank loan and leasing. The operating profitability, with an estimated EBIT margin of 20 -30%, means this funding approach can be continued in the long-term. However, to accelerate development, other funding opportunities are currently being studied. Ymagis Group is the first market operator to offer an industrial approach to the creation of standardised VR venues with a turnkey offer for cinema exhibitors. The Group aims to become an international player in the virtual reality entertainment centre sector. 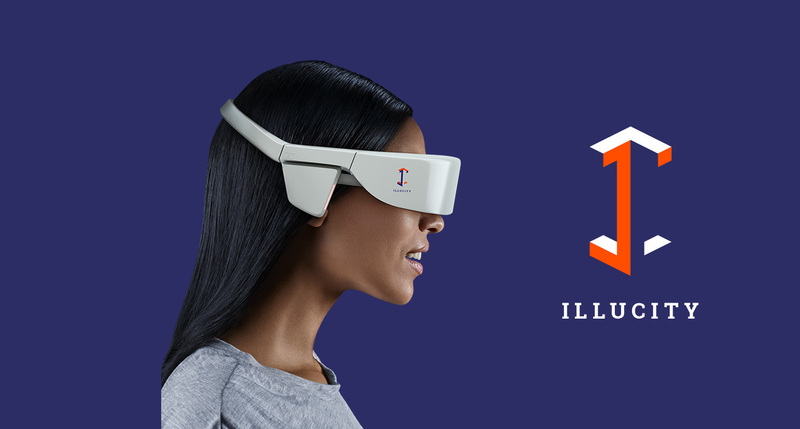 The first Illucity centre is due to open at the end of November 2018 in Paris, and upcoming launches are scheduled in Marseille, Nantes, Brest, Nice, Toulon and Liège (Belgium). Discussions are also underway with several international cinema exhibitors in the Middle East and Europe. The first VR arcade installations should take place from December 2018 onwards. The Group aims to have equipped several dozen Illucity centres and at least 200 arcade sites in partnership with cinema exhibitors worldwide by the end of 2020. This new activity with strong potential for profitability should therefore constitute an important driver for sustainable growth for the Group and strengthen the earnings targets scheduled in the Perform Plan for 2020.